Consistently reinforcing its home city of Munich’s musical heritage since 2006, Permanent Vacation’s beach chair electronica, feather-light house ballads and hit albums have been seminal in the resurgent love for Disco and all its variations. 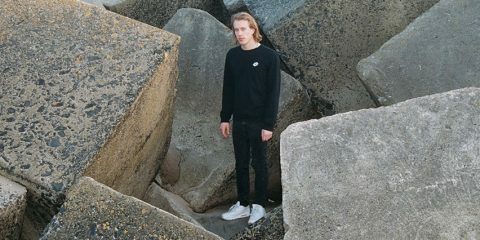 From there self-titled first release to output from the likes of New Jackson, DMX Krew, Lauer, Red Axes, Róisín Murphy, Elena Colombi, Jennifer Cardini, Chloé, The Drifter, Lake People, Lord of the Isles, John Talabot, and more, Permanent Vacation is undoubtedly a major scene player, and with their “Selected Label Works 6” now available, and recent release from the likes of Pional, Tuff City Kids, Zombies in Miami, and more, this is more obvious than ever. 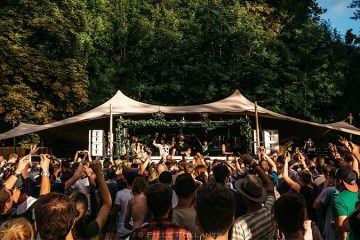 Here, its founders Tom Bioly and Benjamin Fröhlich discuss the evolution and importance of the Permanent Vacation imprint ahead of 26 August’s Permanent Vacation Open Air at ELSE Berlin. 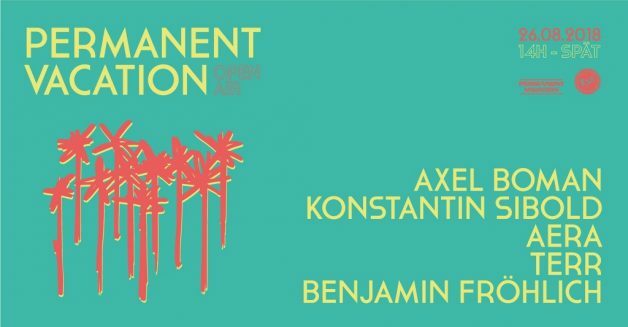 On the day, Permanent Vacation will bring Axel Boman, Konstantin Sibold, Aera, TERR, and Benjamin bring these feather-light sounds of the imprint to the perfect Berlin, riverside venue. 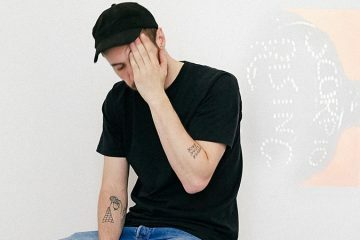 What does Permanent Vacation add to the dance music spectrum? When did you first think about launching Permanent Vacation? The two of us, Tom and me, were already carrying the thought of doing a label individually before we met each other and decided to join forces and launch a label together. That was in early 2005 if we remember correctly. When did Permanent Vacation actually launch? After our decision got serious, we started working on our first compilation, which became our first release. It took us some time to find the right set up and distributor and also we had some trouble with licensing the music for the compilation as obviously nobody had heard of us before and people didn’t know what to expect. So it took some while until we were entirely ready for take off. The compilation (permvac001) was ultimately released in June 2006. How did you Tom and Benjamin become partners? Did it evolve out of a longstanding friendship or did you find each other along your music career? We both were working with music for a longer time before we started the label. Tom was studying in London and fell in love with the music scene there and as he returned to Germany he started working for compost records. 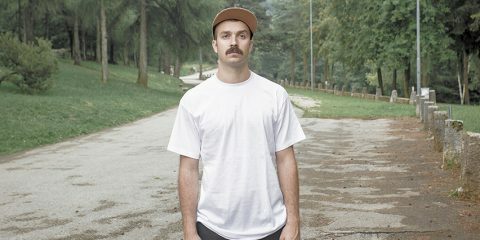 I (Benjamin) was throwing parties under bridges and abandoned buildings with friends before I started playing at Munich’s clubs on a regular basis. At that time, I also opened up a record shop. Tom became a customer at the shop and soon we figured out that we had quite a similar taste in music. At one point I was compiling a CD for Compost Records and Tom was in charge of that project. That’s when we started working together and had the chance to get to know each other closer and became friends. And suddenly it felt very natural to start a label together. At that time we both were really hooked on the growing cosmic disco and Balearic scene. Discovering the past of the music while being a part of the present was the perfect moment to start with the label. How many people work for the label? And what kind of professional activity does each take over? It’s still the both of us doing most everything on the label. 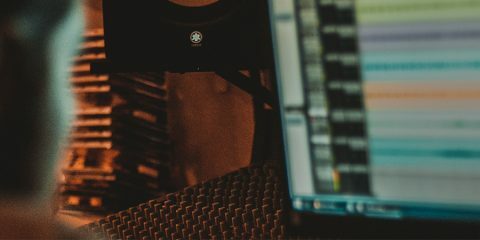 Over the years we figured out a good and effective way to split the ongoing tasks, like communication with the artists, distribution, pressing plant and the outside world, between us, that suits our individual preferences. It’s also very helpful that we can 100% rely on each other. Not to forget our friend and graphic designer Mathias Schuckert, with whom we work on most of our artworks. 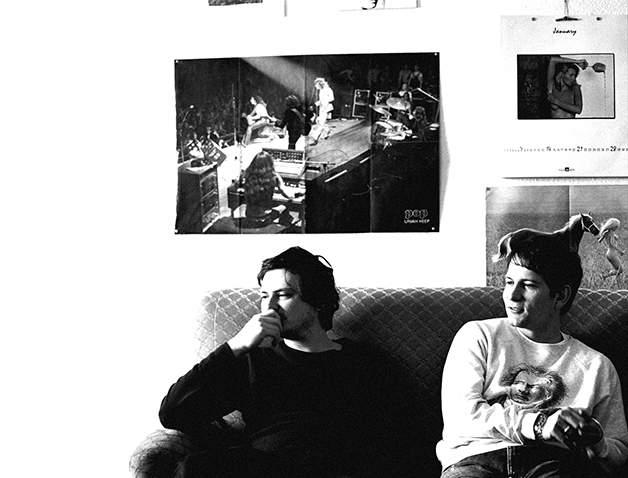 Permanent Vacation is a 1980 film directed, written and produced by Jim Jarmusch. Is the Story behind the Permanent Vacation name linked to the movie? Yes, you caught us 😉 We borrowed the name from the movie. Actually, we were watching a feature of Mocky, who was about to name his new album “Extended Vacation” and it reminded us of the movie. So we thought why have an extended vacation if you could have a permanent one? What qualities do you look for in a Permanent Vacation artist? Well, in the end, it is always about finding interesting music, in which we believe in and think it could last longer than one party season. And, of course, we hope that people enjoy the music we release. The best relationship with artists is when you have a mutual trust in the abilities of each other and everybody benefits. If you are on the same page about the direction of the individual release and together you can create something greater than the sum of its parts. Do you have a dream artist to appear on the label? Describe 3 seminal moments in Permanent Vacation existence? Our First release – The Permanent Vacation Compilation- is of course always in our hearts. It was such a special moment when it was released and we still listen to it with pleasure and gratefulness. Also, we remember hearing the Joakim remix of Antena’s “Camino Del Sol” quite vividly: Dixon played the track in Berlin at his “Innercity” club night at Weekend and we were jumping up and down like crazy. It was the first time that we realized that it could be something super special. It’s played until today and certainly marks our entrance on the electronic music scene. Also, in 2010 we booked DJ Harvey to Munich. It was the first time he returned to Europe after over ten years. As Harvey fans, the bearded Disco Guru was a massive influence for us, when we started the label. You can imagine that we were pretty nervous to meet him. Often you get disappointed when you meet your heroes, but not this time. He’s just a great person, who plays great music. Was there a most disappointing moment in Permanent Vacation’s existence? Disappointing is a strong word and luckily there are not so many moments we could think of. Of course, you will hit some rough patches over the course of 12 years, but we learned a little bit of patience and if something is not working out in the first round, maybe it does in the second. But thinking of it, it’s a bit of a shame that we still don’t have our PV beach towels ready for this hot summer. What would you say makes for a quality label showcase event? 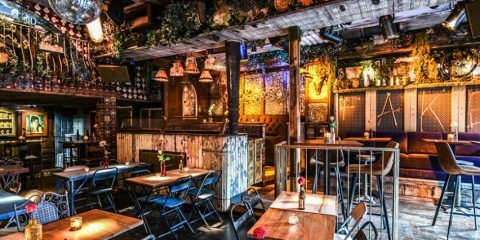 Venue, light, and sound, of course, are very important factors to a party in general. If these are components are right, you probably should have a good mixture of DJs or live acts that represent the full spectrum of the label sound. When we played the first time at Panorama Bar for the John Talabot “Fin” album it was quite special. The album was just about to take off and everybody was really excited and we had a great night together. What are your major upcoming projects? We are very excited to release the fifth compilation from the “Permanent Vacation” series this fall with exclusive new tracks by a lot of awesome artists. Also, we have a special re-release of the DMX Krew album “New Romantix” that celebrates his 20-year anniversary this year. We are very happy to make the music available again in a carefully remastered version and on a special vinyl edition on a loud 45 cut. Do you have an annual Christmas party? If so, what does it look like? Well, it’s more like an annual Christmas dinner we have at a nice place here in Munich and with a couple of too many drinks afterward. It’s a nice tradition we enjoy a lot. Tell us a little bit about the music scene in Munich these days? What are its strengths/weaknesses? exciting time for the city with a lot of things happening. 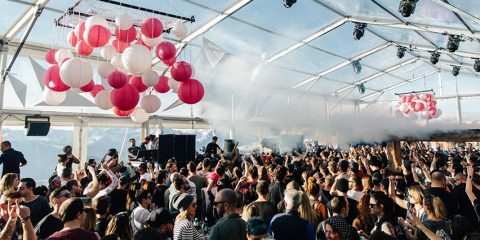 Indoor and outdoor, even besides the established clubs like Blitz, Charlie, Rote Sonne or Harry Klein, there are a lot of smaller parties and festivals happening that are contributing to a very lively scene. Finally: Oktoberfest or one week in Amsterdam?